Winter is upon as, try as we might to avoid it. Colder months bring a lot to enjoy, like hot cocoa, warm sweaters, and cuddling up with your favorite Netflix show. However, it also brings a lot to take care of your hair. Curls can get dry and frizzy during the winter months due to the elements and dry air. Here's how to care for your curls this winter. It's even more important to fuel your body with good food during the winter months and to drink a lot of water. Healthy curls start from within, so make sure you're taking care of yourself. While it's tempting to stand under a hot shower, try to avoid washing your curls when you can. Skipping a few days between washes will give your strands time to rest and retain natural oils. This will keep them from becoming dehydrated. If you skip your deep conditioning treatment in the summer, you need to step it up in the winter. Deep conditioners replace lost moisture and help curls stay healthy. You can also consider incorporating hot oil treatments into your weekly curl care routine. Before heading to bed, wrap your hair in a silk scarf, bonnet or cap. If you aren't the type to wear things to bed, consider using a silk or satin pillowcase instead of cotton. It allows for your curls to slip across the pillowcase instead of catching and doesn't wick away moisture. A good scalp massage can help your curls grow. 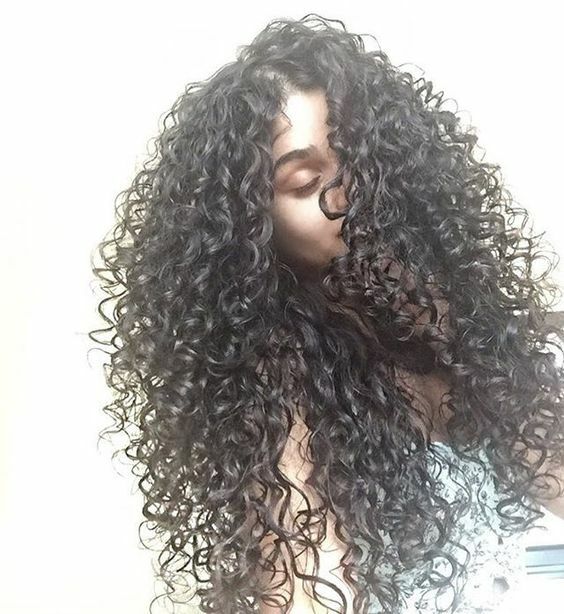 You can use oil to pre poo or moisturize your curls while giving yourself a scalp massage. Flip your curls upside down and massage in short bursts to encourage healthy blood flow, and to break up any build up or excess oils on the scalp. Hair looses moisture to the environment, especially during cold months. Utilize protective styles to help protect curls and keep moisture locked in.